If you made blocks in January, an author account will be created for you. You will receive email like this one, for a fictional account for Jane Doe, that contains your user name, password and a link. In order for me to be able to connect accounts to the names and addresses, all usernames will be in the format firstname.lastname. 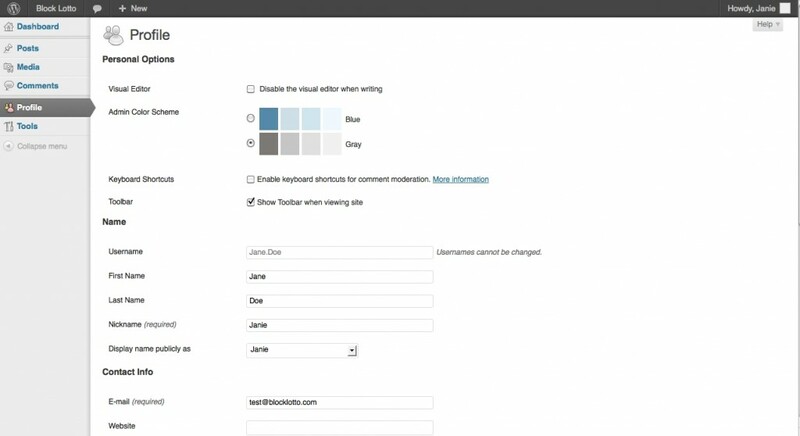 You will be able to use a nickname on the site–this is just for signing in. 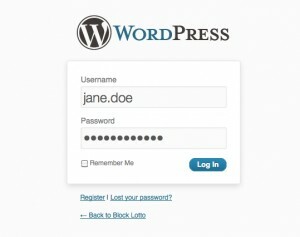 Highlight and COPY the password and then follow the link, which will take you to the login page. 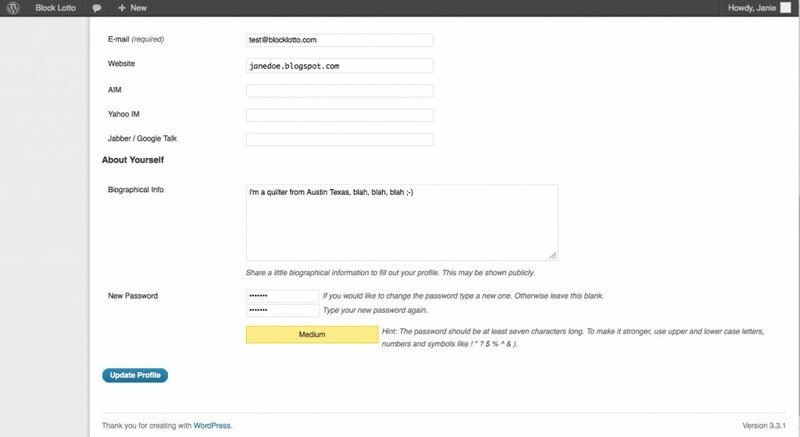 Enter your username and PASTE the computer-generated password to Log in. You will be taken to the Dashboard. To get started, you will want to complete your profile and change your password. Click the Profile link in the left column. Add or edit the Nickname and then choose which name you want to be displayed for you on Blocklotto.com. 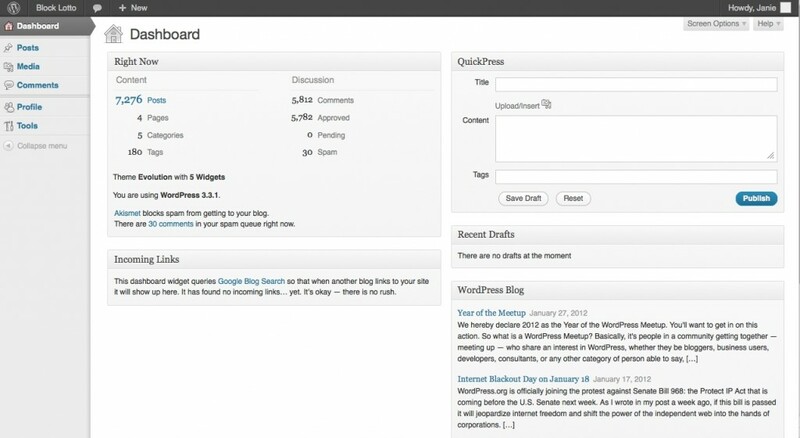 You can also update your email address and add your blog or website in the website field. Scroll down the page to enter a profile (Biographical Info) if you like and to change your password. Be sure to scroll to the bottom and click the Update Profile button to save your changes. Thank you so much! That was really easy, and I think we’re going to love being here!